Enjoy the true taste of Italy with this fast, filling and well–balanced one pot meal. 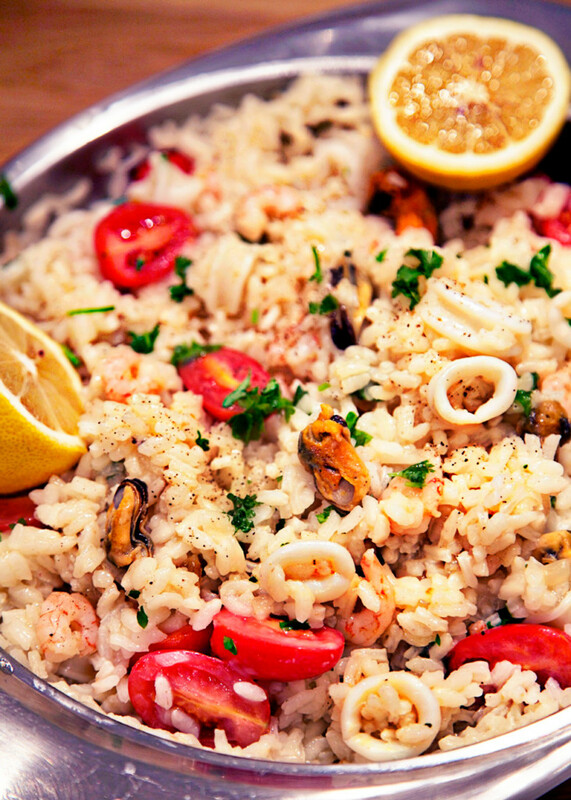 Shellfish is a great source of protein, healthy fats, B vitamins and minerals. If you are using frozen seafood there is no need to defrost, cook it straight from the freezer. Peel and finely chop the shallot. Peel and crush the garlic. Wash, deseed and chop the tomatoes. Heat the oil in another saucepan. Add the shallot and garlic and cook for a few minutes until golden brown. Add the seafood and stir to coat. Add the tomatoes and cook over a medium heat for a couple of minutes. Add the rice and stir well to coat. Add the lemon juice, zest and chopped parsley. Serve immediately with a generous grind of black pepper.